The OEB Literary Society invites prospective participants to submit proposals relating to any aspect of Butler’s life and work. We especially encourage papers/panels addressing Butler’s short story collection, Bloodchild and Other Stories, and would like to devote at least one of the panels to this topic. We are open to the submission of both full panels and individual papers. Please email full panel proposals and/or individual abstracts of 300 words to Matthew Mullins at oebliterarysociety@gmail.com Abstracts are due no later than January 15, 2019 and should include a brief biographical note. The American Literature Association’s 30th annual conference will meet at the Westin Copley Place in Boston on May 23-26, 2019 (Thursday through Sunday of Memorial Day weekend). The deadline for proposals is January 30, 2019. For further information, please consult the ALA website at www.americanliterature.org or for specific questions, contact the conference director and Executive Coordinator of the ALA, Professor Olivia Carr Edenfield, at carr@georgiasouthern.edu or the Executive Director of the ALA, Professor Alfred Bendixen at ab23@princeton.edu. The OEB Literary Society invites prospective participants to submit proposals relating to any aspect of Butler’s life and work. We especially encourage papers/panels addressing Butler’s influence in the work of contemporary artists across genres, and would like to devote one of the panels to this topic. Please email abstracts of 300 words to Matthew Mullins at oebliterarysociety@gmail.com Abstracts are due no later than January 15, 2018 and should include a brief biographical note. Registration is open for the 2nd Octavia E. Butler Society Conference. Matthew Mullins, Assistant Professor of English and the History of Ideas at Southeastern Baptist Theological Seminary, discusses Butler’s concept of the future as bound to the past. He posits that Butler’s work represents a key contribution to the history of American literature by making her readers aware of two central conflicts that plague African American literature: the need to recreate a systematically obliterated history and simultaneously imagine a possible future. 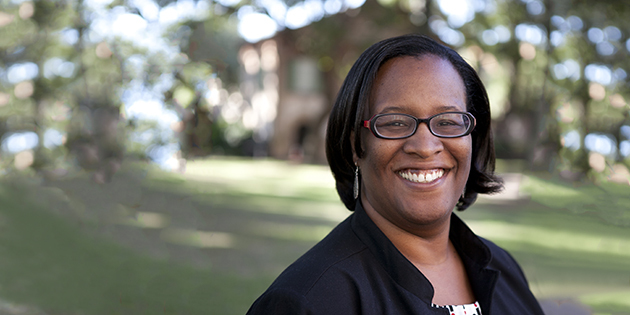 Mullins’s essay focuses on practical strategies for helping students become aware of the historical expectations they bring to African American literature and for helping instructors situate the results of a student designed in-class activity exploring the narrative structure of Kindred in an American fiction class. Butler’s fiction spurs serious consideration of the relationship between past and future and challenges a variety of assumptions about how history works and how it is represented. Assistant Professor of English at SUNY, Albany Sami Schalk’s work contends that rather than being merely a medical concern, disability is a phenomenon socially constructed by the physical and attitudinal environments which can vary by time and place. Often instructors approach the concept of disability with examples about the architectural environment. While this explanation helps students understand how physical structures limit the abilities of certain people, it does little to explain how disability is socially constructed in terms of the attitudinal social environment. In Schalk’s essay “Teaching the Social Construction of Disability through the Parable series, Lilith’s Brood, and Seed to Harvest,” she demonstrates how Octavia E. Butler creates worlds in which the expectations and possibilities for bodyminds are different from the world we inhabit. She discusses how disability is socially constructed in Butler’s Parable series, Lilith’s Brood, and Seed to Harvest. By discussing how Butler’s worlds contain not only different kinds of bodyminds, but also different valuations and expectations of bodyminds, instructors can help students develop a more nuanced and complex understanding of the social construction of disability in order to identify and deconstruct it in their own real world(s). In “Teaching Afrofuturistic Thought Leadership in Octavia E. Butler’s Fiction,” Tarshia Stanley, Associate Professor of English at Spelman College, discusses the strategies used to introduce students to the topics of speculative fiction, Black speculative fiction, and Afrofuturism. The Black female protagonists in Wild Seed (1980), Mind of My Mind (1977) and Survivor (1978) were the primary means of exploring Butler’s practice of Afrofuturism and denoting how such an observation might serve those in search of progressive models of leadership that extend across family, community, and culture. She writes that this kind of discussion is particularly pressing for students whose motto requires a commitment to being leaders and change agents, but does not necessarily address the real-world challenges of doing so in uniquely female bodies and for communities in deep and systemic crisis. Mary, Anyanwu, and Alanna are mothers, daughters, lovers, and warriors as well as leaders. Afrofuturism provides a lens through which to think of those positions as complementary rather than oppositional. The course content and format allowed experimentation with multi-modal writing by including assignments which were presented as humanities poster presentations, critical and creative essays, and free-writing responses formulated for the Octavia E. Butler Literary Society blog. The Octavia E. Butler Literary Society mourns the passing of our vice president, founding member, colleague, and friend, Conseula Francis. Conseula was an energetic and hospitable person whose work on Butler shaped her own life and the lives of those she touched. Without her, we would not have one of the most significant volumes of Butler scholarship, Conversations with Octavia E. Butler (2009). Conseula’s hard work gives us all the opportunity to read Butler’s thoughts on writing, history, race, class, and other important themes in her own words. Above all else, Conseula was a warm and generous person, someone who cared deeply about others and who was always willing to give of her time and of herself. She is remembered by her colleagues at the College of Charleston in this story from Monday, May 9, 2016.